COL79-World Holographic "World" Overlays are used to protect the face of a PVC or Teslin ID card adding to the longevity of the card. 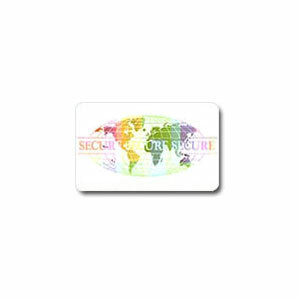 The holographic design also adds significant security to the identification card. Each overlay is 2 1/16" x 3 5/16" perfect for credit card size cards. The convenient tab makes it easy to remove the holographic overlay and place it over top the ID card.